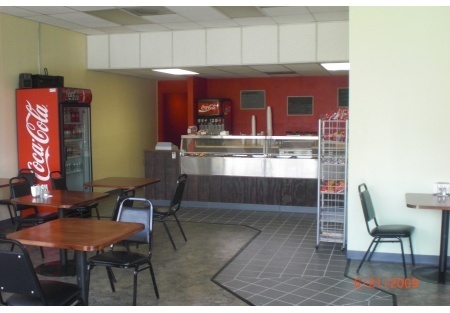 San Diego Restaurant for Sale: 5 Day Deli in busy business district - LOW RENT! Owner must sell, leaving country soon.Are you ready for a five day work week?Here is your opportunity to miss traffic coming and going to work. Selling Restaurants presents this once very profitable 5 day a week deli where owner will even consider financing the right buyer! Newly remodeled and improved with the installation of a hood system, this place is ready to go. Located in the heart of one of the busiest business districts in San Diego, this deli has a large local client base easily expandable with some simple local marketing. Untapped catering to the large surrounding businesses will be a huge addition to the bottom line as soon as the new owner is in place. Owner has provided financials showing it makes money. This place is a bargain at only 1.2x 2007 earnings. Space is 1296 square feet with rent of only $1,359/month. Seller purchased the restaurant in Jan 2009, and now wishes to pursue other business interests. Deli has been in business for 20 years. If you are ready to own a business with great and proven potential this is your place. If you are looking for a deli with a great location and clientele, click on one of the orange buttons below and make this happen.